QUE. has had himself a pretty busy and productive year. Following the craze of his banging single “O.G. Bobby Johnson,” the Atlanta native delivered some quality drops with tracks such as “Jungle Fever” and “Diamonds” along with two well-received projects “Who Is QUE?” and “Can You Digg It?“. Looking to continue on his stellar year, QUE. 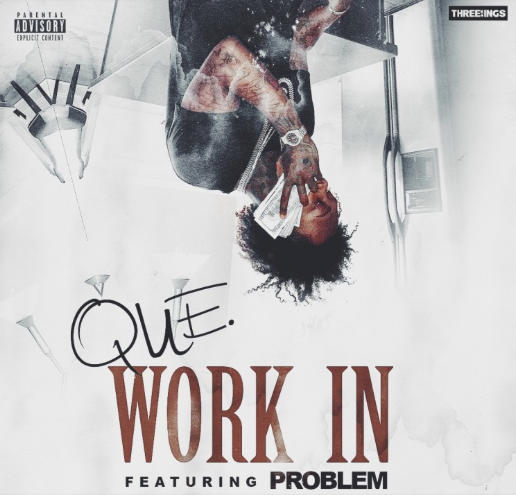 is back with his latest offering “Work In” featuring West Coast native Problem which serves as an extended bonus track from the recent project. Before the year ends, QUE. is set to release another new project under the title 6th Man, so look at this as an appetizer of what’s to come.